For the west end of Newcastle, the key moment of the decade was the so-called “riots” of September 1991. Suddenly the area – inevitably christened the “wild west” – was national news. Three nights of large-scale disorder and criminal damage on the streets created a reputation for serious crime and social problems that the area has found it hard to shake off. For years afterwards the media continued to be obsessed with the riots and their legacy, even though life in the west end eventually settled down to normality again by the end of the decade as a result of a combination of more effective policing and the beginnings of an improvement in the economic situation. The other big event in 1991 was the advent of City Challenge. This was a national government initiative with £37.5 million to spend over a five year period in defined areas with the aim of “regenerating” them. It was around this time that the word “regeneration” – previously mainly associated with spiritual growth or Star Trek – began to be widely used by policy-makers to describe measures to improve aspects of life in rundown or disadvantaged areas. Most west end residents associate the word with housing demolition, but it is used to cover all sorts of different policies aimed at particular geographical areas. Newcastle’s City Challenge programme covered most of the inner west neighbourhoods, and its generous budget enabled many local voluntary organisations to survive and new ones to be set up through the lean years of the 1990s. This meant that, despite continued high unemployment and associated social problems, life for many in the local communities was perhaps better than it would have been otherwise. 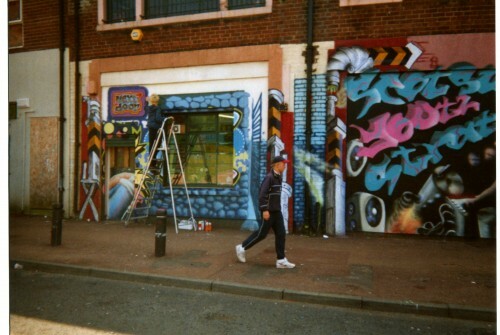 City Challenge was not the only government initiative to bring money into the west end during the 1990s. Even before the City Challenge programme had come to an end, the Single Regeneration Budget arrived. Again, this targeted specific geographical areas. There was an SRB programme called ‘Reviving the Heart of the West End’ which targeted North and South Benwell and High Cross, and another which targeted Scotswood, as well as some themed programmes that covered a wider area. One of the features of these local regeneration initiatives was that they were required to involve the community in a formal way. Many local community activists devoted an enormous amount of time to helping to manage these initiatives, engaging in consultation processes meant to shape priorities and spending, and helping to publicise the programmes. Although experiences varied, the level of commitment to working to improve the quality of life in their areas was widespread across the inner west. Newcastle by 1991 had one of the worst male unemployment rates of any English city – only Liverpool, Manchester and Knowsley were worse. By the same year the police were officially admitting that the west end of Newcastle was one of the highest crime areas in the country. The problems of poverty, unemployment, crime and disorder that had reached crisis levels during the 1980s continued to affect particular neighbourhoods more or less severely. The Buddle Road Estate had to be almost completely demolished following years of increasing dereliction and decline. This was despite a successful campaign by the tenants association which achieved a major investment of several million pounds in housing and environmental improvements – much of which was destroyed almost as soon as it was built. Even more alarming perhaps, areas which had previously been stable and popular, and relatively untroubled by the problems that affected neighbourhoods such as South Benwell, Scotswood and the North Benwell terraces, began to enter a dramatic decline – the long-established “garden suburb” Pendower Estate was one such. Many residents chose, or were forced through harassment or other problems, to leave the area during this period. Others however stayed to fight for a better life for their communities. The ‘Scotswood Area Strategy’, for example, was set up in 1990 by local residents from across Scotswood who had first come together to campaign against the rising tide of crime that was blighting their lives. Residents felt that Scotswood had reached a crisis point, and that the dimensions of its problems were so great that only a comprehensive effort, tackling all the major problems at the same time, could hope to bring about real improvements. In other words, they wanted a strategy for Scotswood not just a bit of help here and there. Just as importantly, they argued that, while it was the council’s responsibility to take action, local people should take a leading role in deciding priorities and choosing how money should be spent because it was they who experienced the consequences of that action. 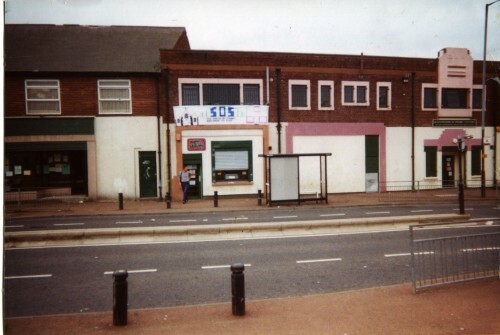 The Strategy’s work during the 1990s was instrumental in shaping policy and investment in the area, and led on a local level to the establishment of the Support Centre (known locally as the Pink Palace) in a former co-op building on Armstrong Road.